GOP Former MA Gov. William Weld To Challenge Trump - Joe.My.God. Two months after former Massachusetts Gov. 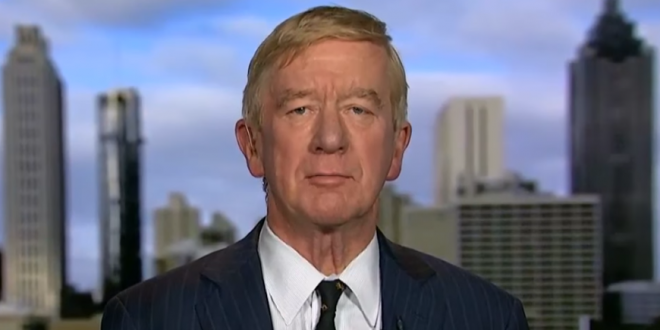 William Weld launched an exploratory committee to pursue the possibility of challenging President Donald Trump for the Republican presidential nomination, he is now an officially declared candidate. Weld made the announcement Monday evening in a more than three-minute video, which can be viewed below. In the video, a narrator recounts Weld’s experience leading Massachusetts and shows clips of some of Trump’s most controversial comments. The video says that Weld was the first Republican governor of Massachusetts in more than 20 years, calls him a “crime fighter” who as governor cut taxes, reformed the welfare program and balanced the state’s budget, while making the state safer. The video shows clips of his television advertisement during his 1990 campaign for the office.